Turmeric has been used for hundreds of years by communities from all over India and North Africa as a spice and as a natural medicine. Many studies have shown that it may offer many benefits for your body and brain. 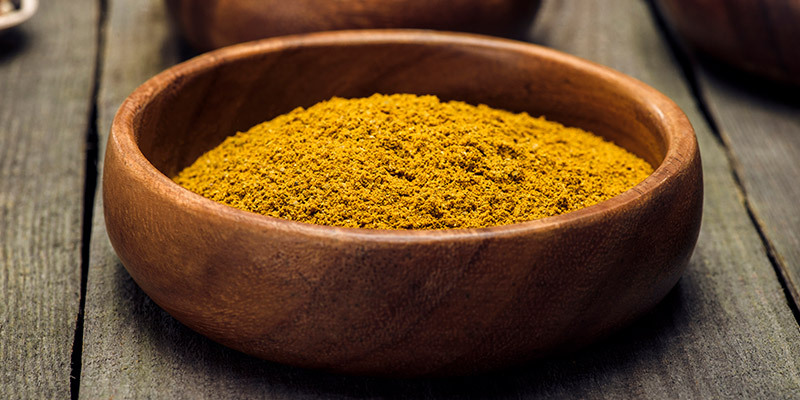 The active ingredient believed to be adding these benefits in this bright yellow earthy spice is called Curcumin which is part of the Curcuminoids family. It is believed that this compound has powerful active anti-inflammatory properties and also works as an antioxidant. It’s understood that chronic, low-level inflammation plays a major role in almost every chronic, Western disease, so keeping inflammation to a minimum is essential. Prevention is always better than the cure, so, including turmeric in your diet daily could be a tasty and effective way to stay healthy. Inflammation is prevalent in Arthritis and many people report benefits from using turmeric as a supplement in combating this inflammation. The main reason antioxidants are so beneficial, is that they protect our bodies from free radicals. And Curcumin has been shown to also have antioxidant properties that could neutralize free radicals. Including some high-quality, non-irradiated turmeric in your daily diet is easy and it often enhances the flavour of your food and some drinks anyway. Here are our favourite ways to enjoy this fantastic spice. Add it to scrambles, omelettes and tofu. Blend it into a smoothie or with your almond milk or milk alternative. Toss it with roasted vegetables, it works well with cauliflower, potatoes, and root vegetables. Add it to rice to give it a lovely yellow colour and slightly earthy flavour. Sprinkle it into sautéed or braised greens like kale, spinach, and cabbage. Great in a vegetable or lentil soup or dhal. Make turmeric tea with milk and honey, just slightly warm the milk, and add your turmeric and honey to taste. We hope you try some of these ideas and would love to hear your feedback on which ones you like the most.